You also know how hard it is to find the right non-invasive makeup that offers good coverage while also letting skin breathe. I’ve spent the good part of my life seeking the makeup that fits that description and recently, much to my delight, happened to receive a tip that, without sounding overly dramatic, has been somewhat life-altering on the complexion front. The tip came by way of a resident skin magician, GINA GAGLIANO, an experienced master/laser specialist, with sizeable training, who has long changed the course of many complexions from her post at Dr. Karl Schwarz and partner, Dr. Sandra McGill’s revered clinic: ESPACE M.D. (a Diary fave). While Gina is a definite go-to for the latest, greatest tech-top transformative treatments (stay tuned for more posts there), she’s also super-savvy about home regimens and dream creams and yes, the best in mineral makeup. Which takes us back to my dream tip: After complaining yet again about not being able to find the right makeup for my challenging skin (coupled with Gina’s not so subtle exclamation that my current cover-up was waaaayyyy off-colour!! 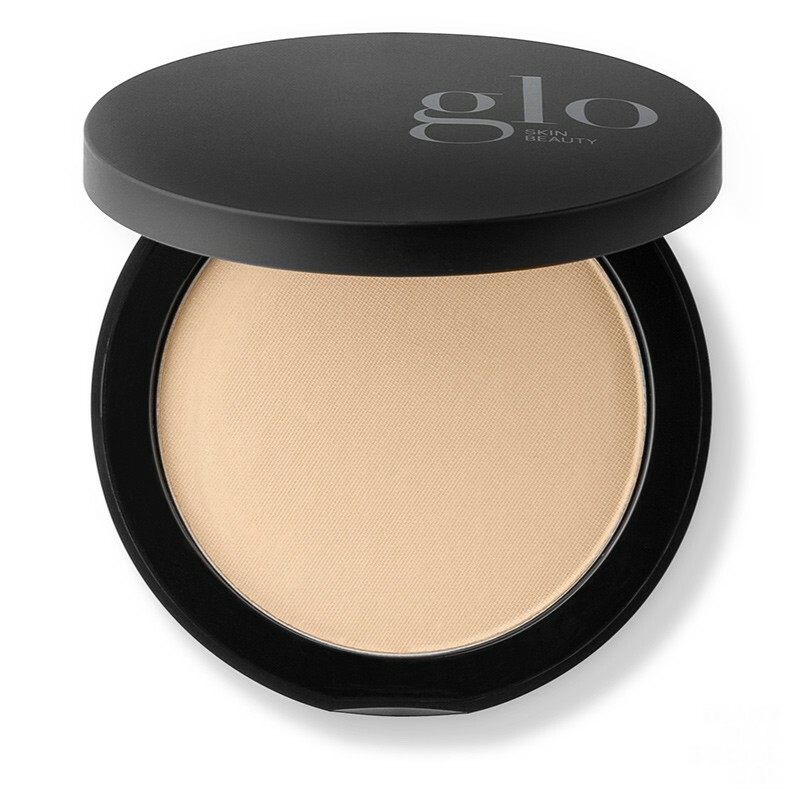 ), she suggested GLO, and immediately got busy looking for the best shade from her arsenal in the closet. I did. Thank the beauty universe … and Gina! Not only does the compact pressed powder go on like a movie fantasy, but it covers the blemishes, and drum roll please … tends to heal them too. REALLY! Which is not surprising, after having done some of my own research about the brand. You see their whole shtick (authentic!!) is to be at the vanguard of transformative beauty, envisioning makeup and cosmetics as an extension of skincare. Transformative is the goal as the pioneering company seeks to infuse all products in the range (skincare and cosmetics) with state-of-the-art ingredients intended to be as healing and soothing as they are beautifying. To that end, their award-winning cruelty- and talc-free compact foundation uses only the best ultra-fine minerals in a triple-milled process, while rocking the full-on potential of their proprietary blend of potent Vitamins A, C, E and Green Tea Extract: your blemish prone skin’s worst nightmare!! This product works, Social Gals and Gents. For yours, visit Gina at: ESPACE M.D. (a plus as you get her wisdom and advice too! ) and/or GO GLO.